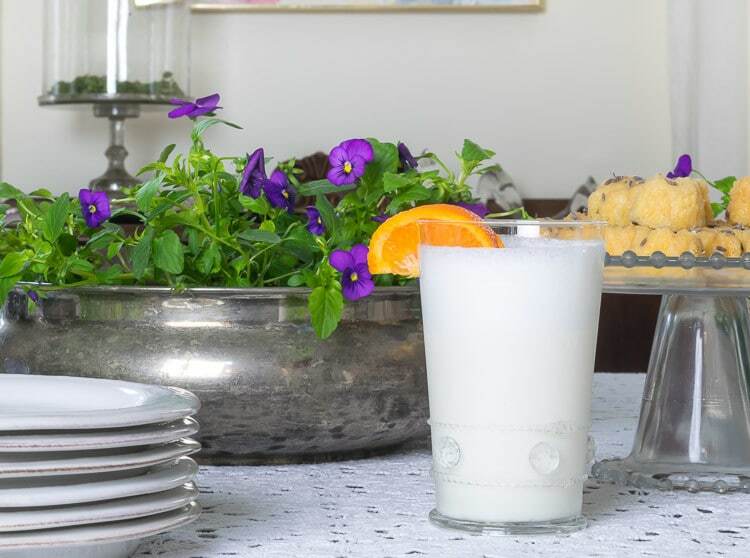 A recipe for the citrusy, creamy but light Ramos Gin Fizz. This recipe uses a blender instead of shaking by hand. I've mentioned before that my dad was quite the bartender back in the day. Gathering with our extended military family was a common occurrence and in my memory, my dad was in his glory as the mixologist. In fact, his Margarita recipe spoiled me and set a very high bar for Margaritas. That recipe is also one of the most popular posts. But I digress…so once I became ‘of age', Dad's Ramos Gin Fizzes quickly became one of my favorite ‘special occasion' cocktails. The Ramos Fizz made appearances at Christmas and Easter Brunches, as well as other ‘special occasion' brunches. I'm sure the citrusy, light, but creamy Ramos Gin Fizzes are enjoyed other times of the day as well, but in my mind, it will forever be a ‘Brunch cocktail'. And talking about Brunch cocktails, I've partnered with a few other talented cocktail-istas to provide you with a couple of other brunch cocktail recipes. Make sure to click on their links at the bottom of pots to check out their recipes. So, let's digress (again) and dive into a little Ramos Gin Fizz history. Henry Ramos invented the drink in 1888 when he owned the Imperial Cabinet Saloon in New Orleans. Although a bar owner, Ramos also preached temperance to his patrons. Clearly, this drink was invented well before blenders, so called for shaking the ingredients (without ice) for a full 12 minutes to get the frothy foam that is characteristic of the drink. Purists today still shake the ingredients…the Sazerac Bar in the Roosevelt Hotel in New Orleans (who owns the trademark for the drink) claims that they shake 50 times. 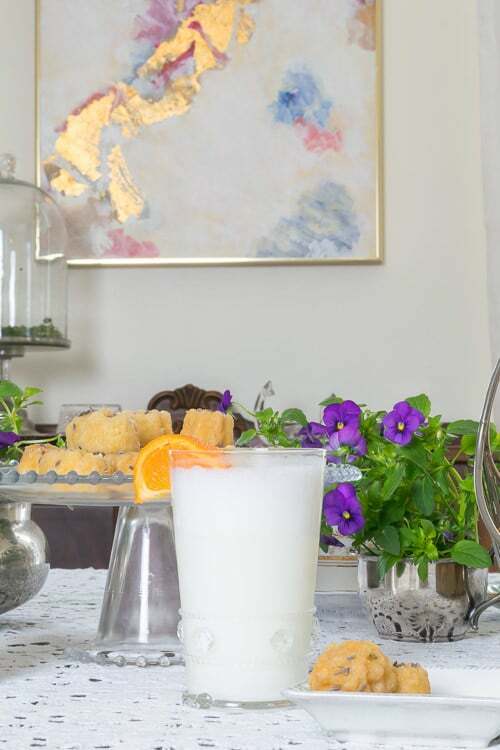 All that being said, my dad's Ramos Gin Fizz recipe calls for placing all the ingredients in a blender and letting the blender do all the work! This may fly in the face of purists, but I never once thought to myself, ‘hmmmm…this would have been so much better if dad had shook it for 12 minutes!' Just saying. A recipe for the classic citrusy, creamy yet light Ramos Gin Fizz which is the perfect brunch cocktail. This recipe uses a blender instead of shaking by hand. Put ice in blender and add remaining ingredients. And be sure to check out these other recipes, I think I might need to host a breakfast buffet just to be able to enjoy all these delicious Brunch Cocktails!